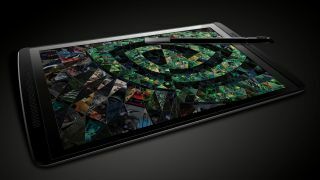 Nvidia's definitely been busy working on something, and going by the recent batch of leaks it looks like it could be a gaming-focused tablet. All we know is that it won't be long until all is revealed. Nvidia has just sent us this mysterious countdown timer, which is set to end on July 22 at 2pm BST (6am PDT). "The ultimate is coming", it declares. Hold on to your butts. What did we make of the Advent Vega Tegra Note 7, Nvidia's last power tablet?